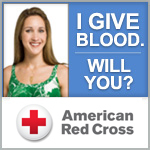 29th Annual Carolina Blood Drive coming soon! The 29th Annual Carolina Blood Drive will be returning to the Dean E. Smith Center on Tuesday, June 6, 2017. Stay tuned to the website for updates and links to volunteer and donate! This entry was posted in Summer Blood Drive on March 2, 2017 by Lynn Eades.